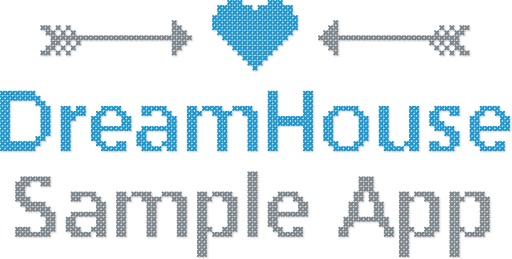 DreamHouse is a sample application that demonstrates the unique value proposition of the Salesforce App Cloud for building Employee Productivity and Customer Engagement apps. 80% of the DreamHouse application was built without code, using App Cloud's Low Code platform. Tools like App Builder and Process Builder make it easy to extend the user experience and automate business processes. When developers are no longer bogged down with infrastructure and commoditized code, they can focus on higher value features. It's easy with App Cloud’s rich set of APIs, frameworks, and deployment options. In the DreamHouse sample application, Brokers run their business from their phone using the Salesforce1 Mobile app. Prospective home buyers use a custom application built with the Salesforce Mobile SDK. Modern apps support new customer engagement channels. In the DreamHouse sample app, customers can use Salesforce-powered bots to search for houses, check for price changes, and schedule appointments. Modern apps connect everything with everything. In the DreamHouse sample app, brokers can remotely adjust the temperature, turn on the lights, and even unlock the doors of their connected properties. Modern apps use Artificial Intelligence to deliver a better user experience. The DreamHouse sample app uses Machine Learning, Prediction and Vision services to deliver smart, targeted, and predictive results.